Wholesale Trader of a wide range of products which include amul flavored milk. Amul has been adjudged as India's 'Most Trusted' food & beverage (F&B) brand, according to the The Brand Trust Report, India Study (BTR)-2013. The brand is owned by Gujarat Cooperative Milk Marketing Federation (GCCMF). There were a total of 123 brands listed in the category. 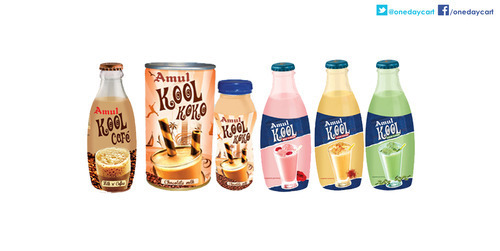 Looking for “Amul Milk Drinks”?